The littering along the Namaka-Airport corridor continues to bother the Fiji Airports stakeholders. The stakeholders took it upon themselves to conduct a clean-up campaign yesterday. The COG looks after operational matters at the airport and where they devise strategies to better their operational matters and services. They meet every Monday. “This was an initiative that came from everybody because of the continuing increase of littering that’s taking place within the corridors of Namaka and the fact that we have a new multi-million dollar airport,” Mr Gray said. “The Government has done its best in creating quality pavement, lightings and then people don’t appreciate it by littering all over from the corridors of Namaka towards the airport. He added that in the future they would engage members of the community including sporting groups. “With the airport stakeholders we might do this on a quarterly or monthly basis in having to fight and advocate in keeping Nadi and Fiji clean,” he said. The campaign was well represented by stakeholders including Fiji Airways, Tappoos, Ministry of Health, Ministry of Foreign Affairs, Fiji Airports, Rentokil, Rosie Holidays, Pacific Destinations, Tour Managers, Westpac Banking Cooperation, Wormald Security, Air Terminal Services and Motibhai. 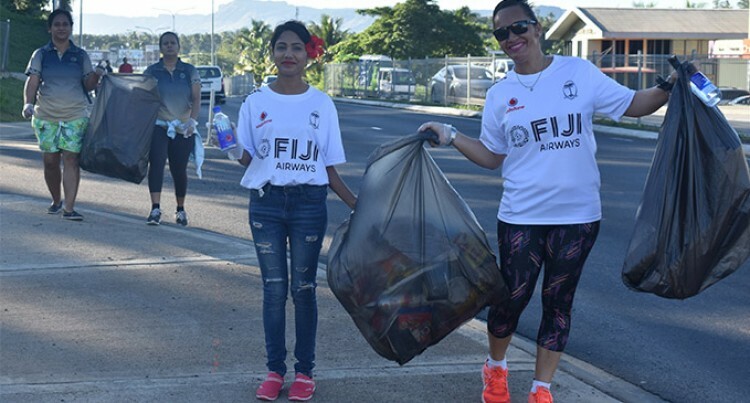 The Nadi Airport stakeholders carried out a clean-up campaign from the Airport to Namaka from 6.30am and ended at the Fiji Airports academy. Furthermore, the Department of Environment continues to issue a strong warning to litter offenders in the effort to curb the increase in littering in the country. 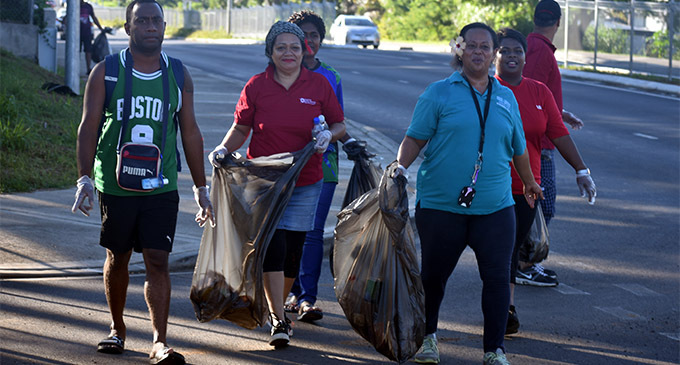 Minister for Local Government, Housing, Environment, Infrastructure and Transport, Parveen Bala yesterday reiterated that litter offenders would bear the full brunt of the law. The Department of Environment has undertaken various campaigns against littering and has met with limited success. Mr Bala said the mindset of individuals needed to be challenged and if this requires drastic measure – so be it. The minister said Fijians must take full ownership of their environment and said that responsible citizens would welcome a litter free Fiji.